The school exceeds national targets because pupils, staff and leaders, with the strong support of parents and carers, have high expectations and a relentless focus on wanting to do even better. This stems from the highly effective leadership of the headteacher and the leadership team. The management of performance is highly effective with a very precise focus on meeting pupils’ individual needs. Pupils make rapid progress and achievement is outstanding. 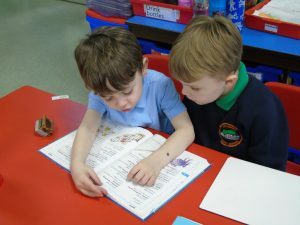 From a starting point expected for their age children get off to an exceptionally good start and achieve outstandingly well in the Early Years Foundation Stage. This excellent start is built on effectively, resulting in pupils’ attainment being above average in English and mathematics by the end of Year 6. Parents hold an equally important part in the aid and development of a child’s education, here at Helmshore we want the parents of our pupils to be informed of all things relating to the education of their child. Parent View gives you the chance to tell Ofsted what you think about your child’s school, from the quality of teaching, to dealing with bullying and poor behaviour.